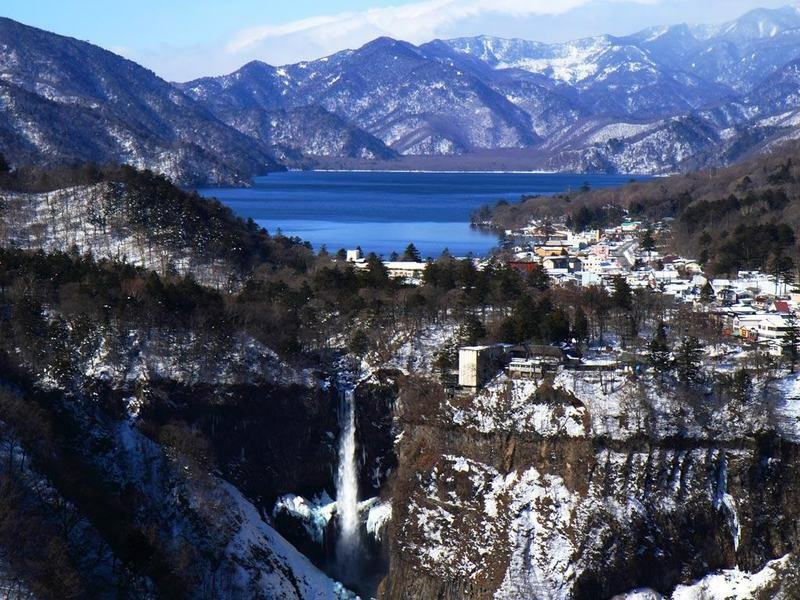 The Lake Chuzenji is located at the foot of Mount Nantai about 20 km as the crow flies from Nikko and belongs to the region called Okunikko, famous for its onsen and for its natural beauties. A small spa town, the only one on the banks of Lake Chuzenji, where there are many onsen and ryokan but also some other interesting places. 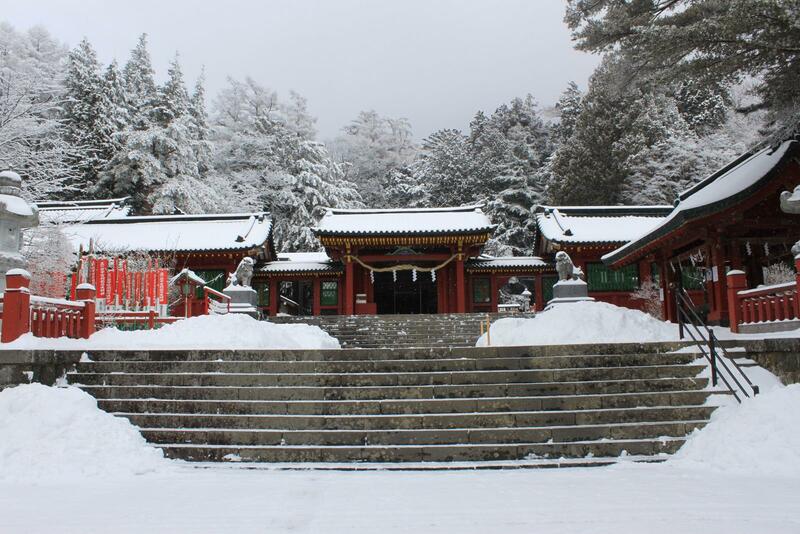 A shrine homonymous of the more famous Futarasan in Nikko. From this temple begins a path to climb Mount Nantai and reach a small shrine built on top of the mountain (Oku-Miya shrine) in 782 and destination of many ascetics. The path is very hard, about 6 km of steep climb and it takes about 3 hours to reach the top. In addition, access is allowed only from May 5 to October 25. A small museum about the history and nature of the natural park of Okunikko, it is located next to the Chuzenjiko Onsen bus station. 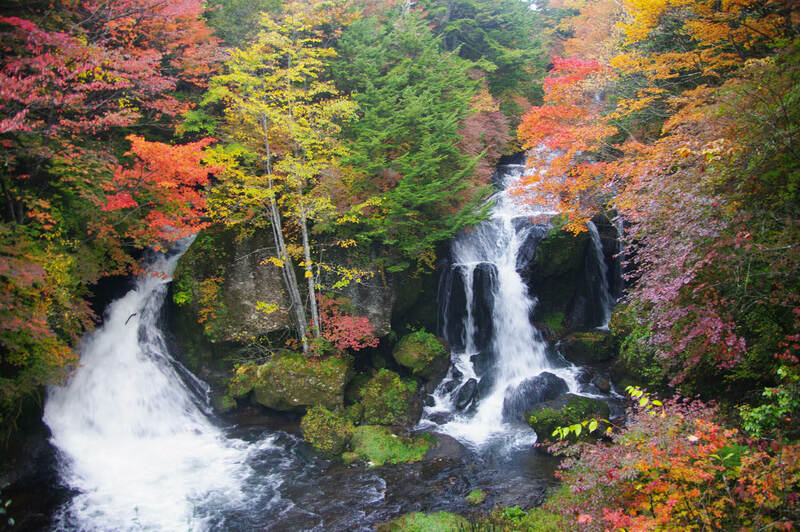 It is considered the most beautiful of the many waterfalls in the area (even one of the three most beautiful waterfalls all over Japan!) and is located a short walk from the town of Chuzenjiko Onsen. They reach a height of 97 meters and are the only escape of the water from Lake Chuzenji. It can be admired for free from the top or go down to the base via a lift which costs 530 yen (opening hours 8-17) and that leads to a spectacular observation point. Curiosity: In 1903 a young Japanese poet, Misao Fujimura, chose these cascades for suicide, and since then this place has become very "popular" among those who choose to commit suicide. 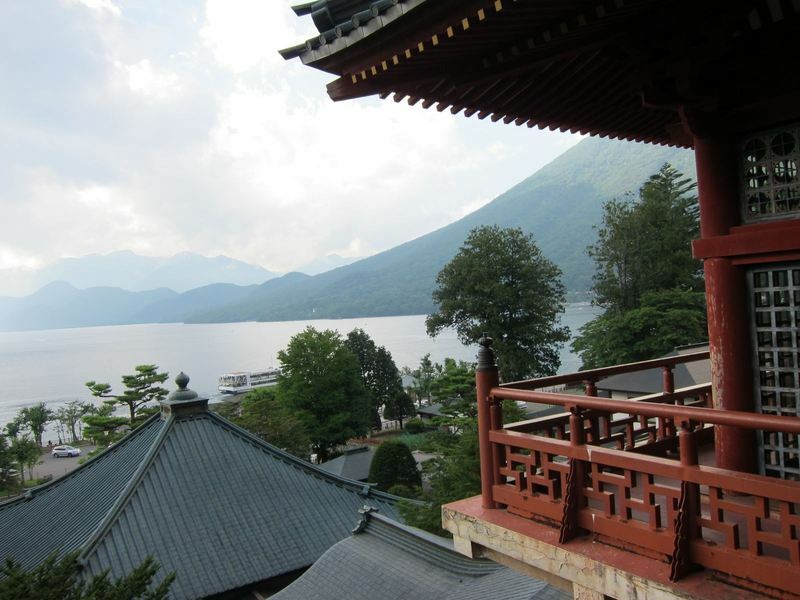 A temple which offers a spectacular view of Lake Chuzenji, inside which is kept a precious statue of a god of mercy (Tachiki Kannon) carved according to the legend by the founder of the temple (Priest Shoto) after having seen her rising from the waters of the lake. It can be reached on foot walking about ten minutes south along the lake or by bus or by boat sailing on the lake and docking at a small pier in front of the temple. Another famous waterfall on the Yukawa river, just before the river arrives in Lake Chuzenji, it is about 10 minutes far by bus (in the direction of Yumoto Onsen) from Chuzenjiko Onsen. 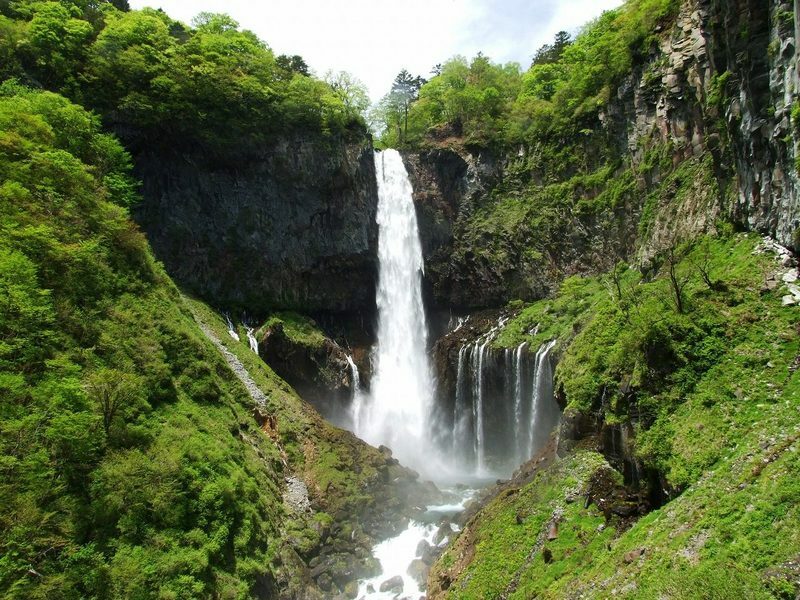 In japanese ryuzu means "dragon head", this name was probably given to the waterfall because of a rock that divides the water flow, giving it a shape precisely similar to a head of a dragon. You can see the waterfall surrounded by vegetation, from a observation point accessible for free, where there is also a store of food and suovenir. Yumoto onsen is another little spa town at an altitude of 1478 meters on the banks of a small lake, Lake Yunoko, where there are some ryokan with onsen and where the air is characterized by a sulfur smell. During winter the entire area is covered with snow and nearby there are also some ski slopes. A small temple known because of the possibility to take a bath in the hot tub (onsen) inside the temple by paying 500 yen. 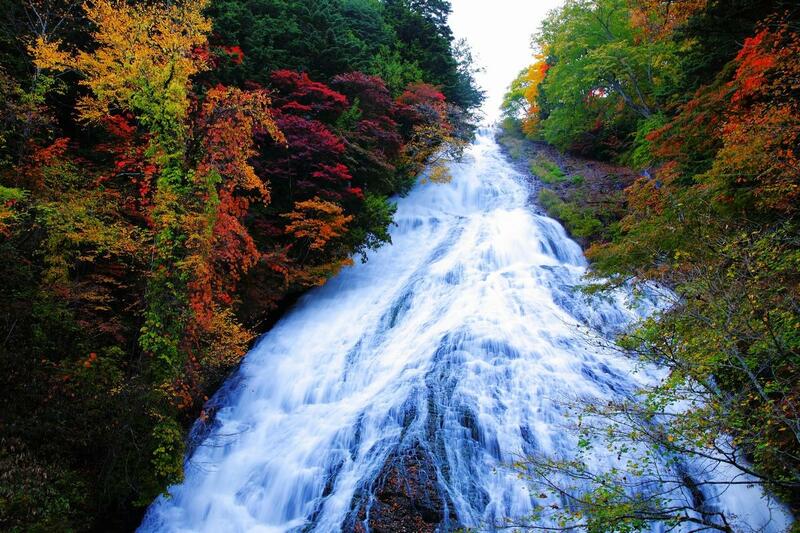 Waterfalls that reach a height of 70 m, are located south of Lake Yunoko, about one kilometer from Yumoto Onsen. The bus from Nikko makes a stop close to the waterfall, the third last stop before the terminus at Yumoto Onsen. You can reach without any problem the bottom of the waterfall. 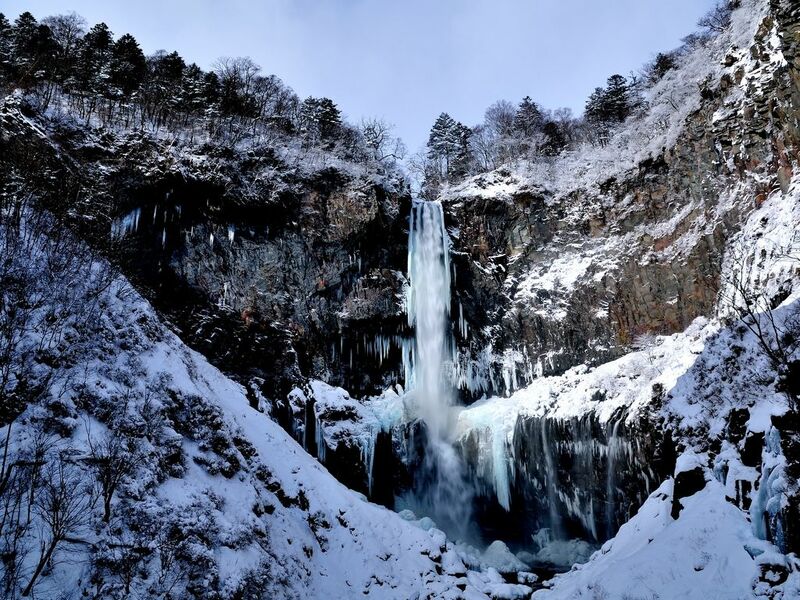 To get to the places mentioned in this page, first you must reach Nikko. 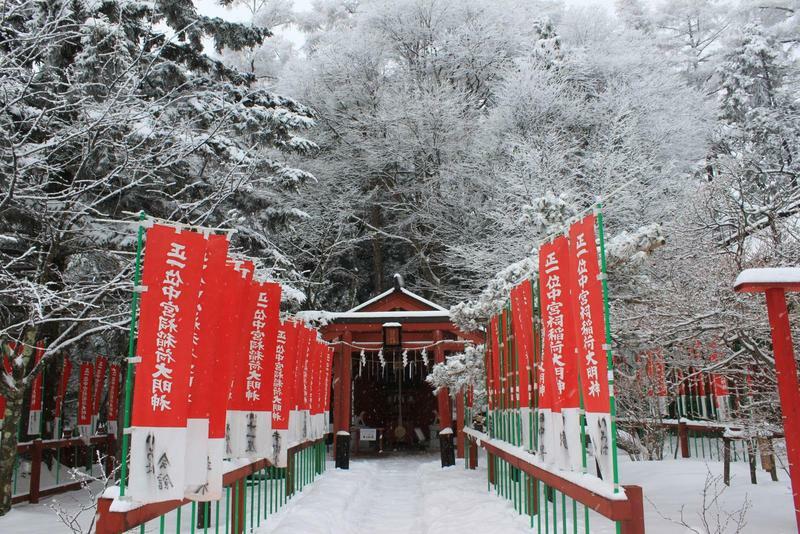 From Nikko (JR) and Tobu Nikko stations, many buses of the Tobu company leave everyday (about 3 or 4 per hour): they make some stops in the area of the temples of Nikko, then proceed to Okunikko. The buses reach Chuzenjiko Onsen in about 50 minutes (fare 1150 yen). Some buses continue to Yumoto Onsen (total from Nikko: 1650 yen, about 80 minutes), making several intermediate stops including one near the Ryuzu waterfall (total from Nikko: 1350 yen, about 60 minutes, Ryuzu no taki stop, 竜頭の滝) and another near the Yudaki waterfall, third last before arriving at Yumoto Onsen (Yudaki-iriguchi stop, 湯滝入口). I think it is a little scandalous that there is no trace of any document in English about these buses of a tourist place like Nikko. At this link you can download the bus lines map, while at this other link the timetables, unfortunately both documents are in Japanese.